New Horizons received $20,000 to help feed children living at its Audrey Grace House home. 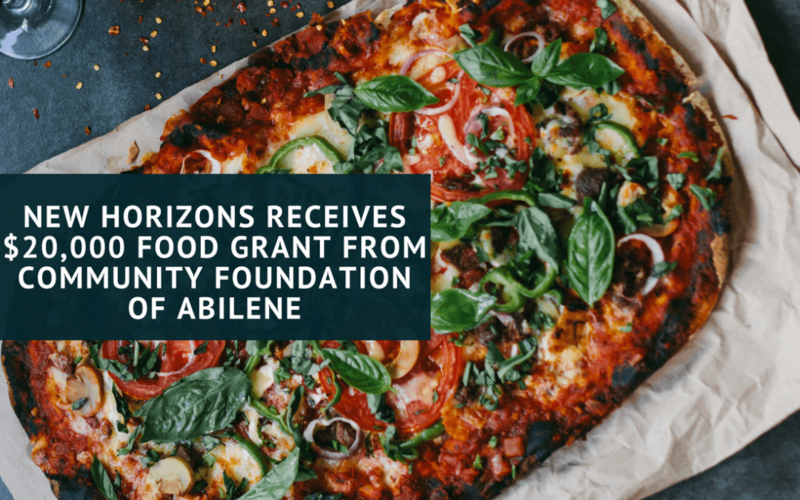 The money was given as a grant from the Community Foundation of Abilene, a local foundation partnering with community nonprofits. The grant will provide over 13,000 meals to children living at the home. Audrey Grace House is a residential treatment center home for children, ages 5 to 17, who have been removed from their home due to abuse or neglect. They live at the home for 9 to 12 months and receive one-on-one counseling to help them overcome their traumatic experiences.